Owning a home is a big responsibility. The to-do list never seems to end, especially when it comes to monitoring the big-ticket appliances. These include the refrigerator, washing machine and water heater among others. A water heater is one of the most important appliances in your home. It provides hot water for every spigot and other appliances. It also does not have a long life expectancy, especially if you do not care for it properly. 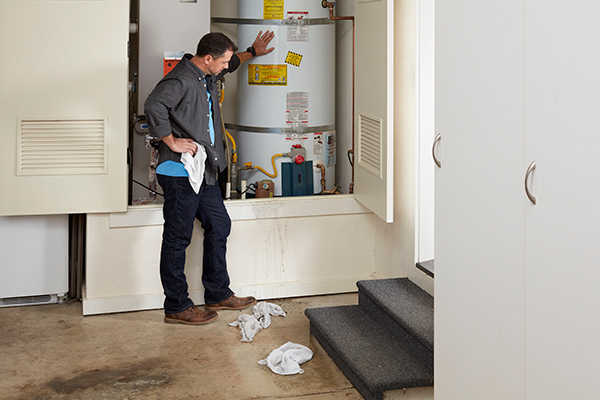 If the time has come to replace the water heater in your Mesquite, TX home then you will want to know what to expect for the process. First and foremost you will want to pick the right plumber for this type of project. You should never perform an install of a new water heater on your own. This is a complicated project that involves tying in water and gas lines to the unit. The team at Flow Plumbing has the experience and tools to perform this task for you. Once you decide that it’s time to replace the water heater in your home you can pick the replacement unit based on your home’s needs. The next step in the process is to choose the right replacement water heater. This can easily be done on your own but why not enlist the help of the plumber who will be handling the replacement? The plumber will be able to make recommendations about the best products on the market, what is recommended for a home of your size, and what type of water usage you experience based on the amount of people living in your home full-time. A plumber will also be able to explain the difference between tankless and tank water heaters and whether or not either of these options are best for your home. Anyone can promise you that the replacement of a water heater will take one working day. This simply cannot be done. A project of this scope should take anywhere from two to three days, especially if you want the plumber you hire to get it right the first time. Why does water heater replacement take anywhere from two to three days? There are a couple of steps that have to be taken care of in order to ensure a successful replacement. The first is that the current tank needs to be completely drained before it can be removed. The removal of the old tank could take anywhere from half a day to an entire day depending on how much water is still in it and where it is located in your home. If the tank is too large it might need to be cut in half to get it out of the home. As mentioned earlier the old tank will need to be removed from your home to make way for a new tank. Even if you are going with a tankless water heater you should still have the old tank removed. There’s no reason to leave it in the house. It’s a good idea to contact your township or city about disposing of a water heater tank following removal. They should be able to tell you where it can be dropped off it is not allowed to be put out at the curb for trash or recycling pickup. Your plumber might also be able to take the old tank with them when the project is complete. Following the installation of the new water heater the plumber who performed the installation will then test the spigots in the home. It’s best to make sure every single spigot is tested. It’s unlikely that only one spigot in the home won’t work but it’s better to be safe than sorry. Make sure hot water comes out of all the sinks, showers, and tubs. Even if the replacement happened in the middle of summer you should try to run the heat to make sure the water feeds this system if it includes baseboards. As with any plumbing issue it is always best to have a reputable and experienced plumber handle your repairs and replacements. The same goes for the replacement of your water heater in Mesquite, TX. Contact the trusted team from Flow Plumbing to schedule a consultation to discuss replacing your home’s water heater today. Call the office at 214-388-8838.